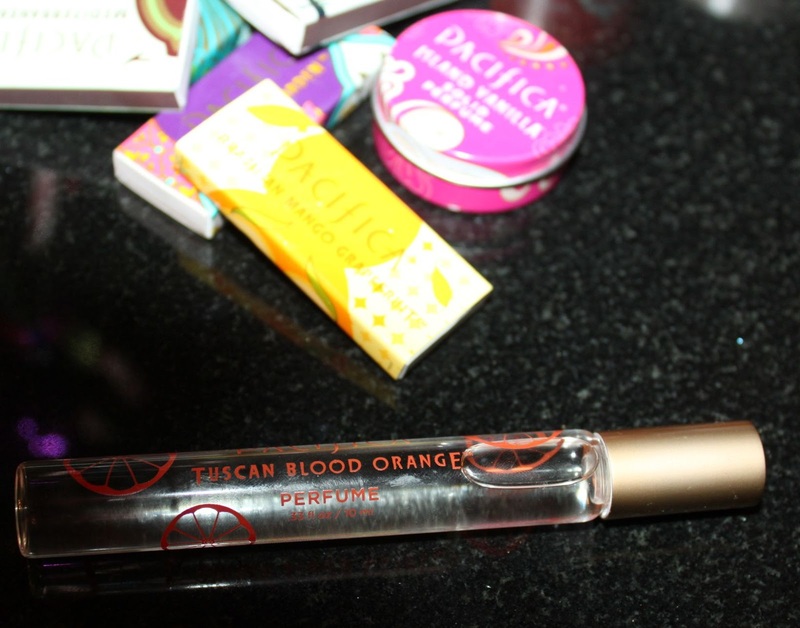 Beautiful Incentives: Pacifica Perfume Review. Tuscan Blood Orange, Satsuma and Tahitian Vanilla. Pacifica Perfume Review. Tuscan Blood Orange, Satsuma and Tahitian Vanilla. Tom Robbins' Novel “Jitterbug perfume”, which inspired her own line of perfume today. She grew up experimenting with spices and other things and this grew into experimenting with perfumes. This led to her own perfume line with unique fragrances. Her goal was to make them as different as possible. This mission did not happen over night, it took years to manifest, but when it did, a beauty was born. The beauty of Pacifica perfume. I was provided with a sample of solid perfume in Tahitian Vanilla, Tuscan Blood Orange roll on perfume, one of their special scented candles for the holidays, in Satsuma and pretty match boxes. The Tahitian Vanilla solid perfume has a very fresh and true vanilla scent. It went on nicely, not greasy and lasted an significant amount of time. The little tin It came in is cute. The Tuscan Blood Orange is a gorgeous scent. It is very sweet but has a spicey element to it that I love. It smells exactly like a blood orange, with a very citrusy tone, but not too much. Perfect for a day out, date night or on the beach. I couldn't stop sniffing it on my wrists and it lasted quite a while. Very pleased with this product and haven't really come across anything quite the same. The matches will come in handy for my candles and other uses and they are in such cute packaging. By now, if you are a regular reader, you know how much I love packaging above anything else. 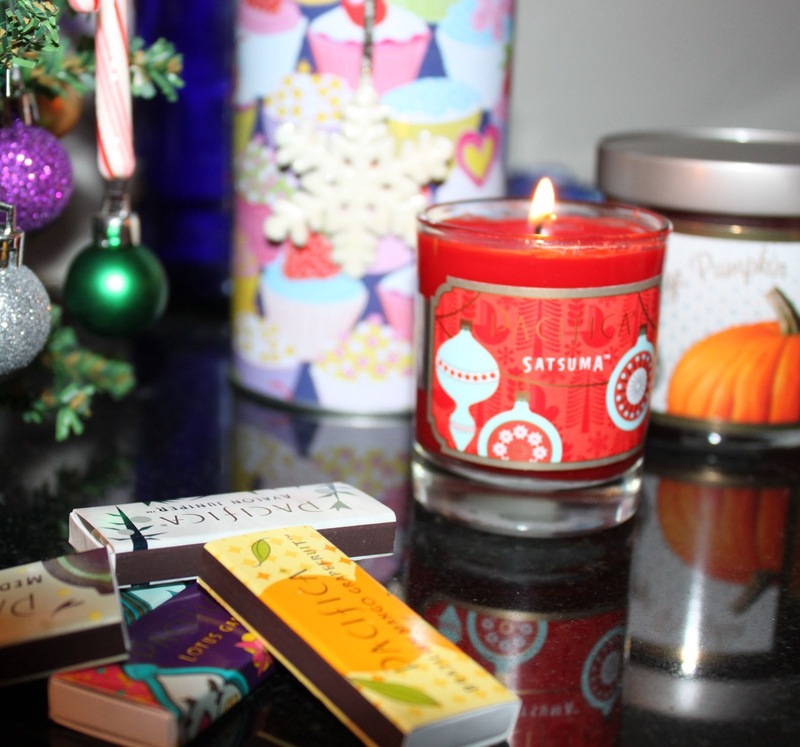 The Satsuma holiday candle is so pretty. I can't quite pin point what it smells like but it is fresh and sweet with a hint of a fruity scent mixed in. This candle made a pretty addition to my holiday decor. I love it and can't stop sniffing it. I need to check this scent out in a roll on. I hope they have it! All of these products were very nice and my favorite would have to be the Tuscan Blood Orange. It is strong and fruity the way I love it. I highly recommend checking out Pacifica's many other selections. I know I will. You can also follow them on Facebook for more info and promotions. Happy Sniffing!